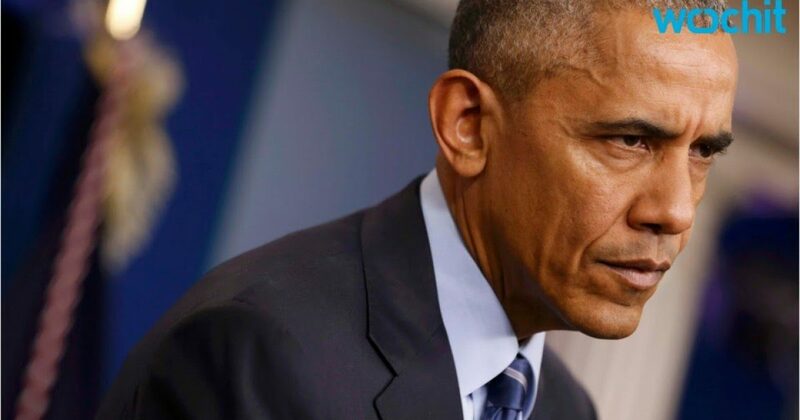 As we learned from simple observation, Barack Obama is toxic. The man was a one-man wrecking crew for Democrats, particularly black Democrats. Donna Brazile verified what we already knew about Obama, and the Left hate her for it. As TBS wrote recently of Brazile’s revelations, Obama left the Democratic Party broke, and not just financially. It was one thing for Brazile to expose Obama, but quite another for him to do so. Obama unwittingly verified that he’s not as popular. As DNA Info reported, Obama has given up selfies. If you came to Barack Obama’s two-day Chicago summit hoping to snap a selfie with the former president — you might want to rethink your plans. In his opening remarks Tuesday, Obama banned the social-media staple. “For Michelle and myself, no selfies,” Obama said. “This seems trivial, but it’s not. One of the weird things about being president is I found people were no longer looking me in the eye. “They approach me either like this,” Obama said, waving his arm in the air to mime someone taking a selfie, “or like this,” he continued, turning his arm to snap another fake shot. In other words, people want pictures with the Obama, but don’t really care to know him or Michelle. But as the article suggests, Obama wants to have conversations. “To see young people organizing in states all over the country through social media is amazing,” Obama said. “But [if you are] blocking yourself from having a conversation or seeing somebody and recognizing them and listening to them because you are so busy trying to get a picture … then you are, I think, in some ways, contributing to what separates us rather than trying to break through” to other people. “It will also allow Michelle and me to have actual conversations with you, which will be nice,” Obama quipped. Surely it would raise rainbow flags if Bush were (1) not vacationing with his family, and (2) took long walks on the beach with a guy named Love. But at a time when logic and sanity no longer exist, America’s first black president gets a pass on about everything. Obama’s #1 agenda has been gay rights. I’m jus’ sayin’. Obama has enlisted the support of Jay-Z and other prominent blacks to push the gay agenda, and as with all things liberals, there is an underlying and selfish motive. 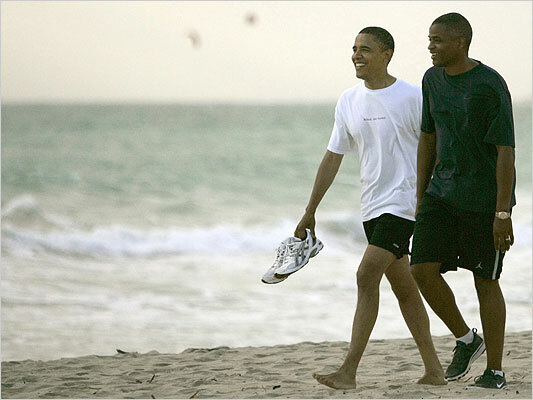 Leftist will say, “Obama must be very secure in his sexuality to walk on the beach with his best friend.” Perhaps. Perhaps not. I not moralizing or making any statement here, except to say don’t be surprised to find out what you already know about Obama. Do I care if Obama is gay? Not a bit. What I do want from Obama and the Left is the truth. Why they struggle with just telling us what we already know. They seem to believe that keeping things from us helps their credibility, when it’s quite the opposite. Obama is NOT popular. His poll numbers were fabricated. And he was undoubtedly the worst president in modern history. No amount of fake news media will change that. Staging photo-ops won’t change it. If Obama and his ilk admitted that, perhaps he could pull a Habitat for Humanity like Jimmy Carter, and redeem himself. But that’s not likely, at least for now. However, as President Trump continues his rock star performance, things will get dicey for the Left. Frankly, I think Obama’s refusals to no longer take selfies reflects his understanding of himself. No sense looking at a picture full of strangers, including himself. As with all failures, the best thing to do is to look deep within oneself, and hope to find the truth.